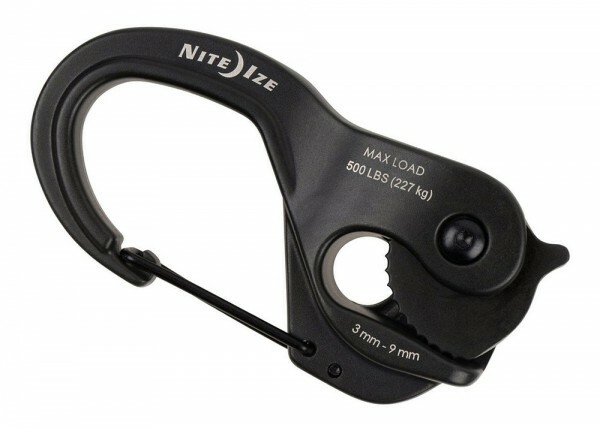 Knot-free and easily adjustable, the Nite Ize ratchet creates, maintains, or releases high tension in the line. 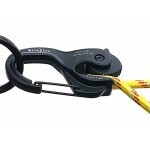 The spring activated clip attaches to the D-ring of the straps. 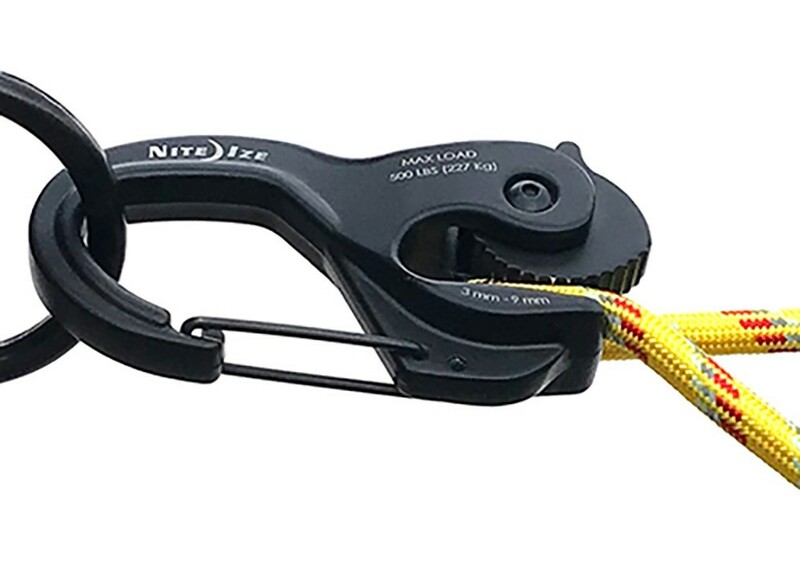 Clip the ratchet to the D-ring of the strap so that the teeth are facing downward. This makes it easier to thread the line from the top and pull through. Once you have threaded most of the rope through the ratchet, insert the line into the teeth of the ratchet and pull back down the line. Use two hands if possible and pull hard to maximize tension in the line. You may have to periodically tighten depending on the length of rope.